James Bond is a fictional character created by Ian Fleming based on personalites he met during his experience with the Naval Intelligence Division. He wrote twelve novels and two short-story collections between 1952 and 1966. James Bond, commander in the Royal Naval Reserve, is an officer in the Secret Intelligence Service, commonly known as MI6. His code number is 007. He’s a spy. Fleming’s books reflected the era but certain elements were futuristic and transcend time like the Bond cars, gadgets and guns. The books also had reoccurring themes like the Bond Girls, Q (for Quartermaster), M (head of the Secret Intelligence Service) and Miss Moneypenny as seen in the authorised novels . So Bond must be a reflection of his time and also of the future. Q is the head of research and development. He provides the supercars, guns and gadgets used by Bond. We knew from his bearing that he was a military man and that was confirmed in the 1977 film The Spy Who Loved Me were he was addressed as Major Boothroyd. Jump to 2012 and Q is a young super-hacker computer geek and Bond’s gadgets are biometric and miniaturised. M has gone from being a man to a women based on the real life former head of M15, Stella Rimington. Of Bond, Ian Fleming said “I wanted Bond to be an extremely dull, uninteresting man to whom things happened; I wanted him to be a blunt instrument”. Celluloid James Bond has never been that. Played by Sean Connery, Bond was unflappably cool with debonair charm; Comfortable in the fray or wooing women. Roger Moore’s Bond introduced dry wit. Each adventure became evermore outlandish, turning Bond into a caricature. Moore stopped playing the 30 something James Bond when he was 58 years old. Australian George Lazenby played Bond once but well. He was a handsome, stylist, toned and human Bond. Arguably, Timothy Dalton’s Bond was the closest to that imaged by Fleming; The reluctant agent who did not always enjoy the assignments he was given. Dalton pushed for renewed emphasis on the gritty realism of Ian Fleming’s novels instead of fantasy plots and humour associated with Roger Moore’s Bond. When Pierce Brosnan played Bond, he was stylish, charming, witty and dangerous but perhaps not tough enough. Daniel Craig’s Bond is big, blonde and reminiscent of a bruiser. Not the sleek, stylish, dark haired, golf playing, English Gentleman envisaged by Fleming. Bond needs the looks, the swagger, the voice, the attitude, the build, the skills and the broodiness. 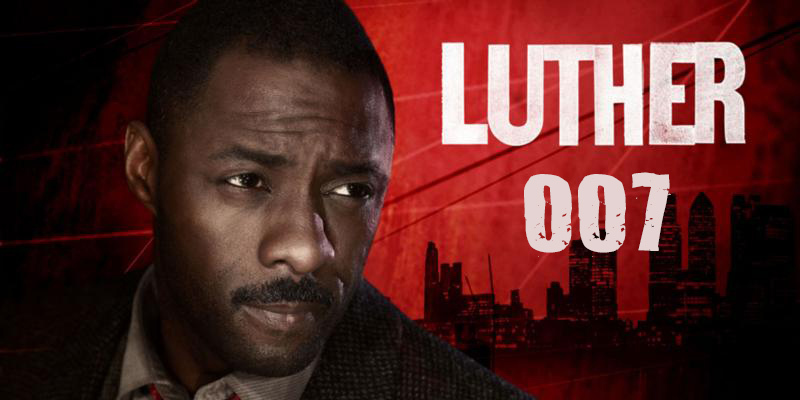 Basically everything that spells Idris Elba. 1 There has been seven authorised writers of Jame’s Bond novels.